Steve Menendian is one of the most famous Vintage players in the world. Stephen is the 2007 Vintage Champion and the Season 1 Vintage Super... Read more Steve Menendian is one of the most famous Vintage players in the world. Stephen is the 2007 Vintage Champion and the Season 1 Vintage Super League champion. He is the author of several books on Vintage Magic, and has written nearly 500 strategy articles for MagicTheGathering.com, Starcitygames.com, Inquest Magazine, QuietSpeculation.com, and EternalCentral.com. Steve is an avid enthusiast of Old School Magic. Chapter 9: Reanimator Rises to the Top! Welcome to another installment of my series on Old School Magic for VintageMagic.com! The first article served as my Introduction to Old School Magic, providing an overview of the format, and a brief description of its history. I also highlighted three questions that need to be answered which determine the feel and dimensions of your preferred Old School Magic experience. Chapter 4 addressed the first question, of which sets should be permitted. This chapter addressed the second question: how should you configure your Banned and Restricted List? As with the first question, these are controversial and often hotly debated questions. In my view, there are no ‘right’ answers. Unlike Vintage, where I prefer consistency and minimalism, Banned and Restricted List adjustments in Old School formats are a useful way to keep the format fresh, encourage innovation, and bring new cards into use – this is especially important for a format that uses an otherwise perpetually limited card pool. As with other formats, it is possible to identify cards that deserve restriction based upon objectively measurable criteria. Some cards may quickly overwhelm or dominate metagames, like Necropotence and Mana Drain. Others produce unfair or unfun game states, like Balance and Strip Mine. Banned and Restricted Lists exist to maintain competitive balance and promote format diversity and health. But, for locally organized, casual Old School communities, having a dominant strategy emerge for a tournament or even a few is not the end of the world. Where tinkering with Vintage Banned and Restricted Lists to meddle with metagames is frowned upon and leads to player backlash, such manipulation is a galvanizing force in Old School formats. Sculpting Vintage metagames with Banned and Restricted list policy runs counter to the libertarian ethos of Vintage, but is far more broadly acceptable for players dabbling in ancient formats and long-lost metagames, seeking a broader range of experiences therein. In Chapter 4, I provided pros and cons for various set inclusions, touching on a number of controversies in the process. Today, I will take a similar approach to possible Banned & Restricted List inclusions and exclusions. I will begin, however, by first examining the basic philosophy of the Restricted list in historical Type I and contemporary Vintage. 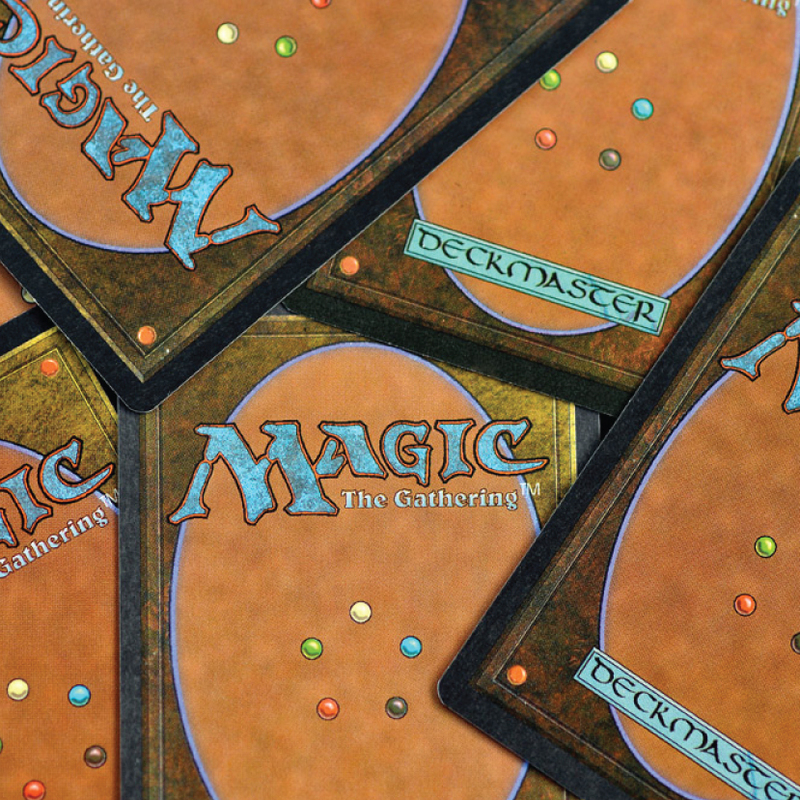 Before 1994, constructed Magic had few deck construction rules, and eventually, only recommended rules. This was known as the era of “Wild Magic” because deck construction rules permitted absurd and ridiculous strategies. Some tournament organizers sought to curb more abusive design approaches by limited artifacts to one copy per deck of the same card, in addition to the minimum 40 card deck and 4 of any specific card. 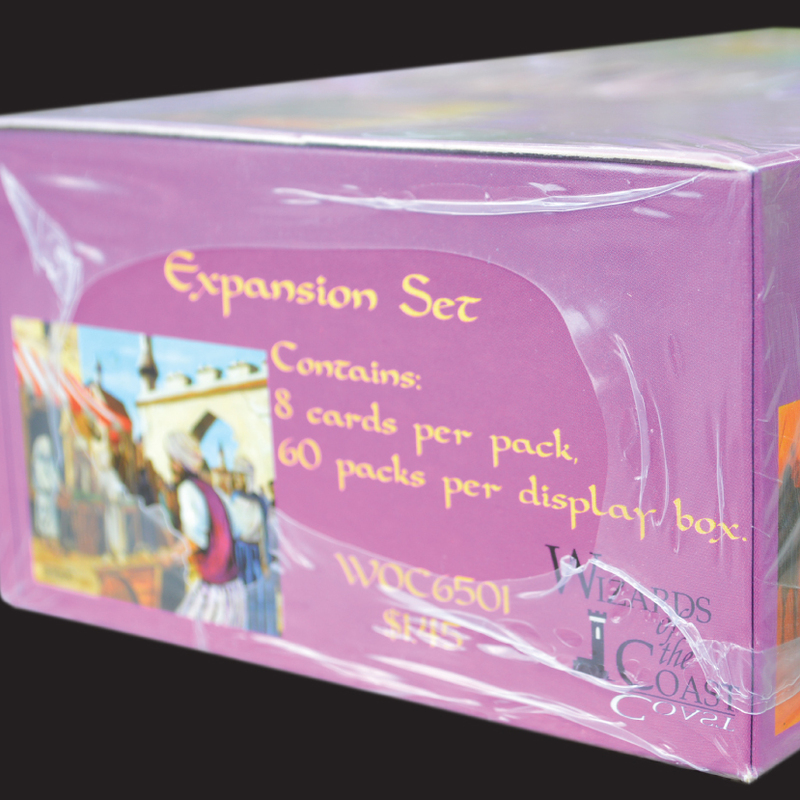 Eventually, the Duelist Convocation, Wizards of the Coasts official sanctioning body (the “I” arrived later, when the DC went international), issued the first official Wizards of the Coast tournament rules in January, 1994, which included the novel concept of the “Limited List.” The Limited List (not to be confused with the Reserved List) is what we now call a “Restricted List,” which is a list that permits only one copy of a card per deck. This limitation is designed to minimize the impact of a particular card’s presence, and foster a more fun and fair environment. The announcement also announced a Banned List, which was reserved for the four cards that involved Ante, and Shahrazad, for logistical reasons. Shortly thereafter, this approach became known as the Banned and Restricted List. 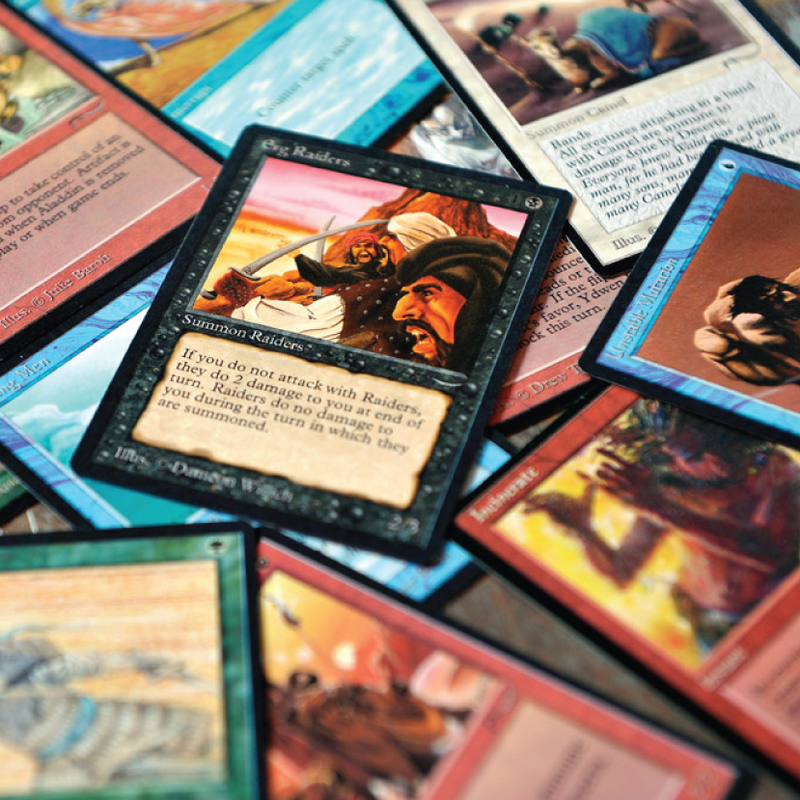 Over time, however, most other constructed formats designed or created by Wizards and the DCI only used a Banned List rather than a joint Restricted and Banned List. To this day, of the four major constructed formats, only Vintage uses both a Banned and Restricted List. Standard, Modern, and Legacy all have only banned lists. The idea of using only a banned list for Old School Magic is intriguing, and one that has some merit. 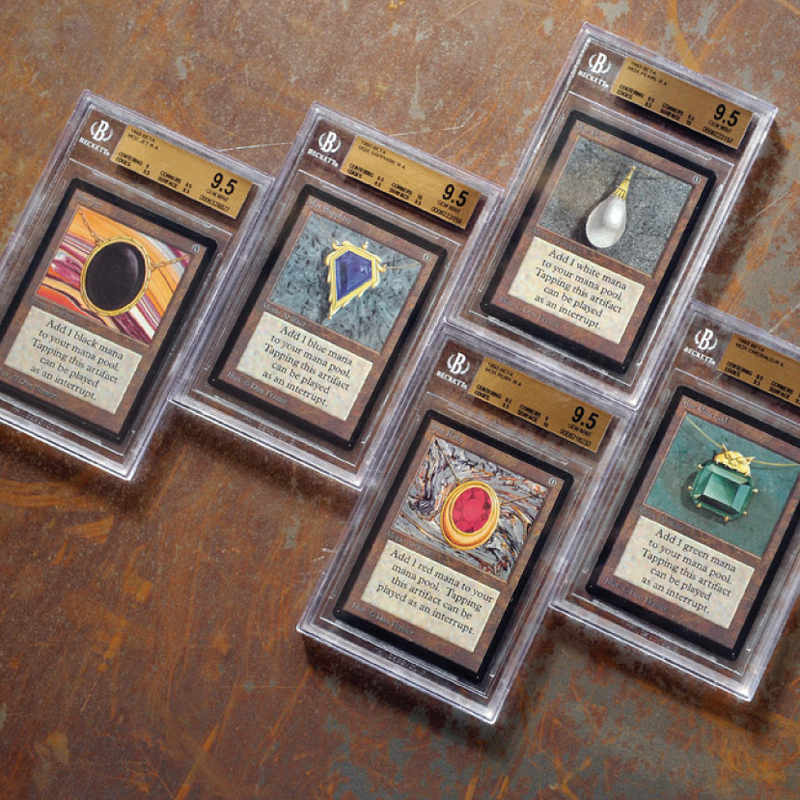 For example, some have suggested the idea of playing Old School Magic with the modern Legacy banned list – an idea that I think would be a fun format. 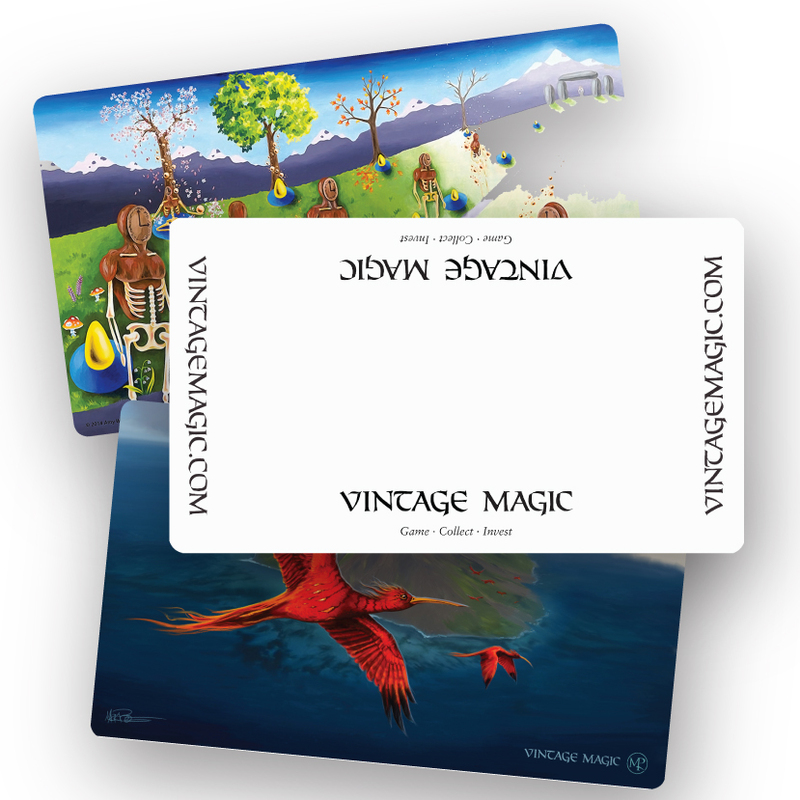 But part of the allure of Old School Magic, as noted in the introductory article, is capturing the feel of Old School Type I – with all of the power cards that entails, without the brokenness and speed of contemporary Vintage. Another approach that has emerged in some quarters, pioneered by the Brooklyn Old School Magic Group I call the “Conference of Professionals” (for one of the tournaments they held), is the use of an aptly named Limited List, which permits two of a single card. The idea of a Limited List is probably useful for evaluating cards that your community can’t decide should be restricted or not, but is more administratively cumbersome to follow. Players have to abide by three lists, not simply two. And, it may simply be the case that the greater flexibility offered by such a list is not worth the administrative and enforcement headache. Yet, it remains another option to be considered. While all of these possibilities remain open to you and your Old School community, for purposes of this article, I focus on restriction rather than a Limited List or bannings. As with contemporary Vintage, I assume that most Old School communities interesting in playing formats that resemble Type I from the mid-1990s will likely avoid banning cards for power level reasons. In this article, I canvass and discuss what I believe to be the more debatable consideration for restriction in most Old School Magic formats, wading into yet another thicket of controversies and disagreements that span Old School communities. But before I do that, I want to examine and compare some of the more familiar Banned and Restricted Lists. Because of the growing interest in Old School Magic, there are a number of well-defined Old School Magic Banned & Restricted Lists to work from. 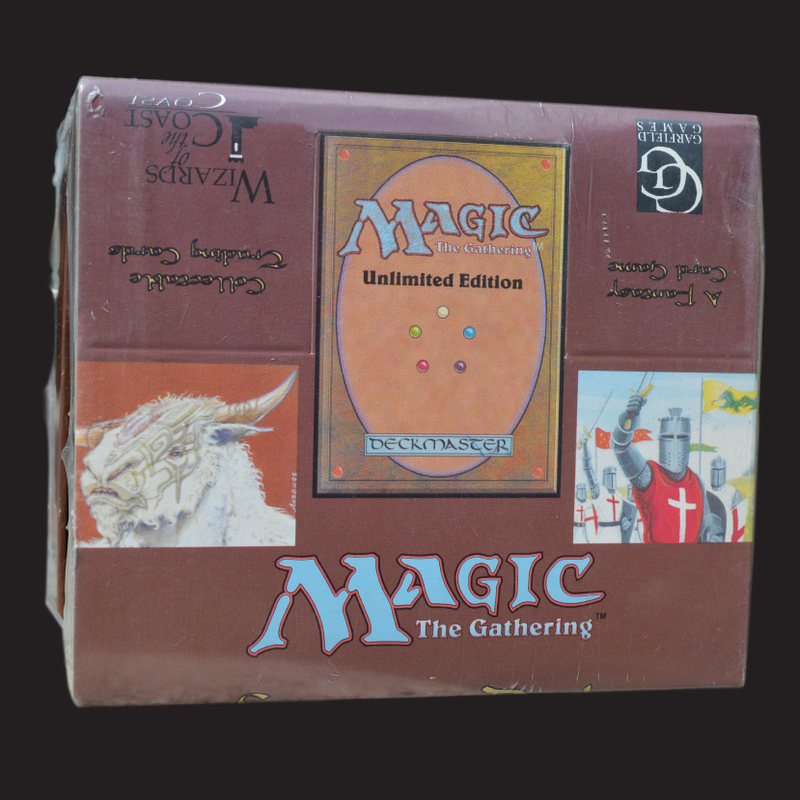 However, the starting place for examining possible Old School Magic Banned & Restricted Lists is, and always should be, the Type I Banned & Restricted List from the period. This is the Type I Banned & Restricted List as it existed from October 1994 to the Spring of 1995. A comprehensive explanation for each of these restrictions and bannings is beyond the scope of this article, but I encourage you to read the first three chapters of my History of Vintage series for a comprehensive understanding of each restriction. There, I discuss every Banned & Restricted list change and the context which prompted it. Scanning the list above, you may have noticed a few omissions. Balance and Fork were restricted in April, and Zuran Orb was restricted much later in the year, but those are the only changes in 1995 to the Type I restricted list. Although many local groups try to follow Old School Type I, most Old School Magic enthusiasts deviate in at least some respects from the contemporary Type I Banned and Restricted list. As you will see, rules changes, errata, and a deeper understanding of the game have rendered some of the original Type I restricted list unnecessary or simply historical relics, and some omitted cards worthy of restriction. For that reason, it’s important to compare the Type I restricted list with some of the major Old School format Banned and Restricted Lists. And, until recently, Power Artifact. Although different Old School Magic communities take different approaches to the Banned and Restricted list management, there is a good deal of consensus on a number of cards. Most of the cards that were restricted in historical Type I, but not in 93/94 are clearly undeserving of that status. Feldon’s Cane is hardly restriction worthy. Sword of the Ages is a farce. Virtually no Old School Magic groups restrict Ali From Cairo, Berserk, Candelabra of Tawnos, Copy Artifact, Falling Star, Feldon’s Cane, Ivory Tower, Sword of the Ages or Underworld Dreams. I am not going to spend any time discussing why these cards aren’t restriction worthy. There is widespread consensus that they aren’t deserving of that status. Similarly, although Balance was not technically restricted until 1995, I don’t think anyone would quarrel with it being restricted in the 1993/94 format. There are a number of cards that elude general consensus, and these are the primary subject of this article. Different Old School Magic communities have taken different perspectives on these cards. At one end of the spectrum is the far more permissive Eternal Central rules, where even cards like Mishra’s Workshop are permitted – a card that was not permitted in any other Old School Magic format nor historical Type I of this period. In this article I will do my best to provide a balanced analysis, leaving it to you to decide where you prefer to land on any given card. It’s worth repeating, but there is no right or wrong answer to many of these questions. The main criteria are often what kind of strategies you wish to permit, what kind of feel you wish your format to have, and what kinds of tactics you consider fun or unfun. There are a few general principles that are worth consider as you navigate through your options. First, different groups place different value on trying to retain as much of the strategic feel and breadth of original Type I was possible. 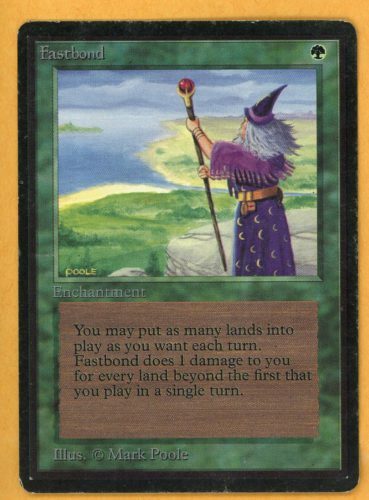 Type I circa 1994-96 differs from most Old School Magic formats in a number of respects, but the most significant and obvious difference is the presence of land destruction and hand destruction strategies. 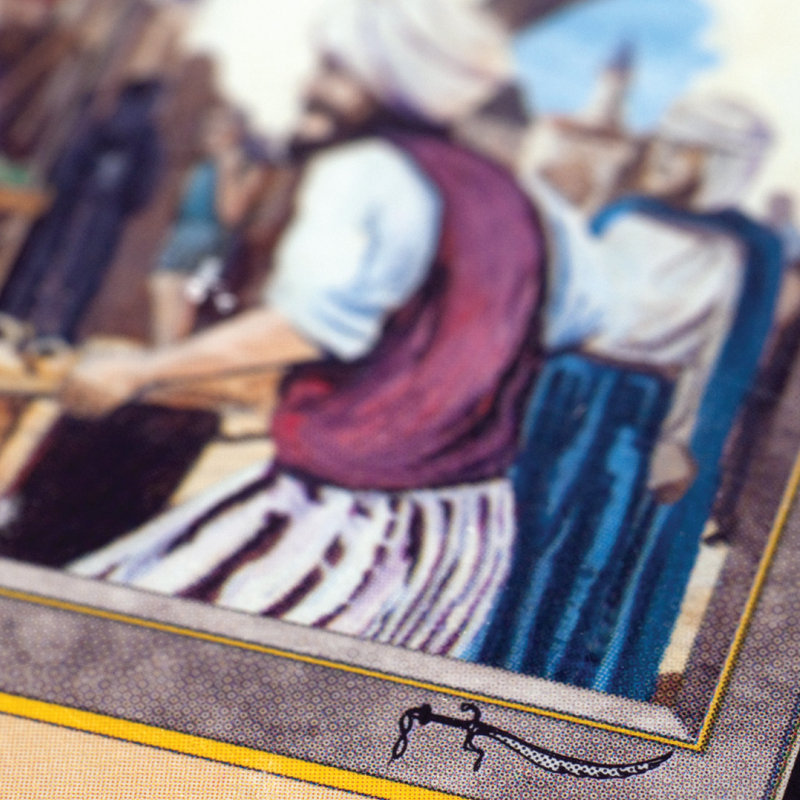 In Old School Type I, land destruction strategies were among the most important and most popular strategies in the format, winning or performing highly in many early major tournaments. However, the unrestriction of both Strip Mine and Black Vise was clearly a critical reason for this. 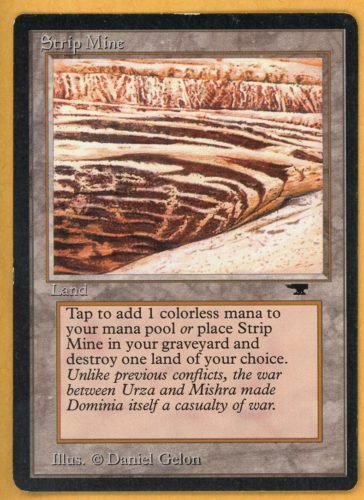 Strip Mine is a card that most Old School formats restrict, weakening, if not eliminating, one of the pillars of 1994-5 Type I (Eternal Central is a notable exception). Relatedly, prison-based strategies played a much more outsized role in historical Type I than they do in Old School Magic formats, and not just because of Strip Mine. Until very recently, errata to Winter Orb had neutered what was, for 1995 Type I Champion Chip Hogan, for example, a core strategy. Similarly, the restriction of Mana Vault makes it far more difficult to accelerate out a Nether Void, let alone win the game with a single Black Vise. These prison based strategies are much weaker in Old School Magic than historical Type I. A third type of frustrating denial strategy, hand destruction, was another pillar of Old School Type I, but far less potent in Old School Magic. The main reason for this is that not all Old School Magic communities permit Fallen Empires, which was released in late 1994. And even when they do, they often restrict Hymn to Tourach, a card that was never restricted in Type I. Hand destruction strategies, fueled with Hymns and Hypnotic Specters, were a major and quite popular strategy at the time, often growing more popular with the printing of cards like Pox in Ice Age (and the use of The Rack). 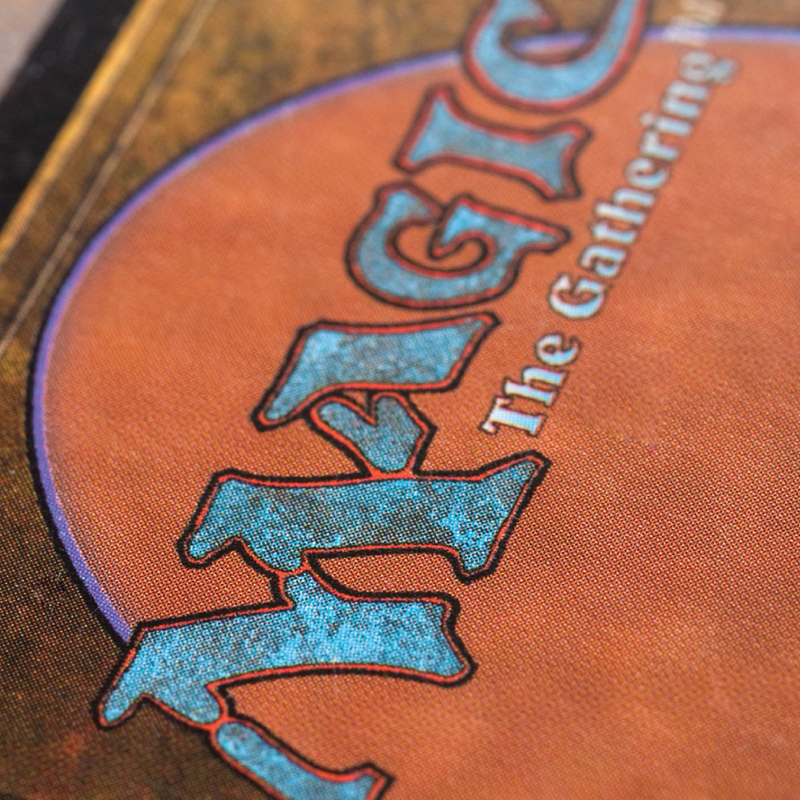 Rules changes, minor differences in set legality, and Banned and Restricted List management decisions have produced major differences in Old School Magic from historical Type I, some of which are difficult to retain, despite best efforts. I think a premium should be placed on trying to retain the feel of Old School Type I, but not to the detriment of your own play experience, and community’s desire. The flip side of the interest in preserving the feel of the Old School Type I is the tendency to permit cards or strategies that never existed in historical Type I, like Time Vault (which was banned) or Mishra’s Workshop (which was restricted until 1997). These cards offer new strategic possibilities that simply didn’t exist. It’s difficult to make the case for keeping then banned and/or restricted solely on that ground. Changes to the background rules of the game, not just specific card errata, have affected the feel and strategic options in the format far more than may be appreciated at first blush. Some cards have radically changed power, such as Mirror Universe, and are far less broken than when originally printed (as we will see). Others, such as Mana Drain, are far more powerful thanks to the elimination of mana burn. I will discuss these where applicable. Finally, be careful about allowing a modern conception of card power to affect your evaluation of the power level of a card. One of the great values of Old School Magic is that, by playing with cards in their original context, we are reminding of the importance of that context to a card’s power level and perception of such cards. Cards that are unplayable in modern Magic, like Recall or Braingeyser, are dominating plays that swing games in Old School Magic. Aside from some of the more obvious changes in power level to cards when played in their original context, there are often more subtle shifts. Maze of Ith is a marginal card at best in modern Magic, but is a powerhouse in Old School Magic. And Library of Alexandria, while a respected and sometimes feared card in modern Magic, might be the single most powerful card in Old School Magic. With those principles in mind, let’s review some of the decisions you will need to make for your community. Black Vise is restricted in the official Swedish 93/94 format. In its original Type I context, Black Vise was often a demoralizing tactic. Vise slips into play early, and multiple Vise inflict tremendous damage within a few turns. ‘Mox, Land, Vise, Vise’ on the play would, in a format before paris mulligans, result in 6 easy points of damage before the opponent has drawn a card. And, unless the opponent had a turn one spell, often 6 more the next turn. The threat of Black Vise was reinforced by the structure and composition of the Type I metagame. Land destruction was one of the core strategies of the early Type I format, with a multitude of expressions. 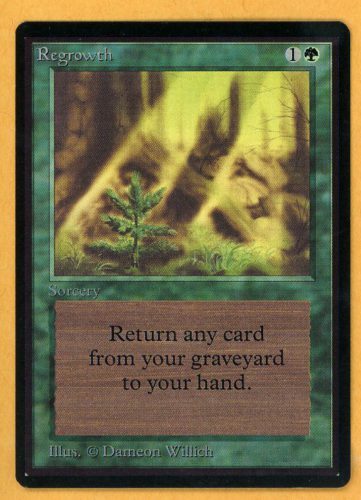 For example, there were many R/G/B decks that used a variety of land destruction spells such as Sinkhole, Ice Storm, and Stone Rain, anchored by four Strip Mine. There were also powerful (very important tournament winning) Winter Orb/Icy Manipulator control strategies, and a variety of Stasis strategies. Eventually, even Nether Void strategies, led by Sean O’Brien, emerged. (Examples of each can be found in my History of Vintage chapters). For these strategies, Black Vise was the preferred win condition. Black Vise was also a damper on control strategies, since it punished the slow accumulation of cards. Control decks would strive to reduce their hand size in a hurry to avoid taking further damage. These facts may lead you to suppose that Black Vise was restricted in early Type I. You would be wrong. Black Vise was never restricted in the earliest years of the game. Vise was temporarily restricted in February, 1996 – well out of the 93/94 period, but was unrestricted two months later when the Type I and Type II lists were finally separated. Its restriction was a function of what was occurring in the Type II environment. Vise was eventually restricted in 1997, and stayed on the Restricted List until 2007. But it was not because of anything found in the 93/94 format, or even in 1995 Magic. The reason that Vise was ultimately restricted was because of the emergence of the Prosperity strategy, which used unrestricted Mana Vaults and Mana Crypts to cause the opponent to draw a large amount of cards, and die under multiple Vise. Vise’s long restriction in Type I and banning in the Legacy format may be sources of historical misperception. Although a feared tactic, Vise was never seriously considered a restriction candidate in early Type I. There were many reasons for this. First, Black Vise was a valuable tool to combat both control decks and Necropotence decks. 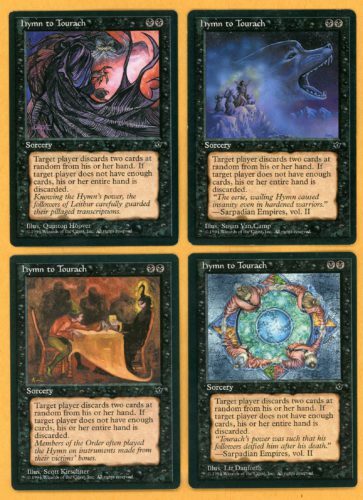 With the printing of Legends, Type I entered what some called the ‘creatureless age of Magic.’ Black Vise was considered an important metagame tactic against both decks that were slow and plodding as well as the emergent and threatening Necro strategies. Second, there are plenty of answers to Black Vise. Aside from removal, Ivory Tower was an immediate and common answer. In fact, it somewhat ironic that Ivory Tower was restricted for most of the 1990s (1994-1999), and yet is unrestricted in 93/94, while the opposite is true of Black Vise. I personally remember playing Ivory Tower as an answer to opposing Black Visees. In addition to being restricted, that was one of the more compelling reasons to run it. There are many cards worth debating and discussing for Restriction in Old School Magic. Black Vise generates a good deal of apprehension, but the reasons to unrestrict it are compelling. First, most Old School Magic formats restrict Strip Mine. With Strip Mine restricted, land destruction strategies such as those that existed back in the early period of the format are simply non-existent or far weaker. Even the O’Brien School’s Nether Void deck is not nearly as potent without four Strip Mines. Second, Ivory Tower is unrestricted, unlikely early Type I. If Black Vise were a series metagame threat, any deck could answer it with Ivory Tower as a counter-tactic. Third, the reason for its restriction, the Prosperity combo decks, should never exist because it is unlikely that Mana Crypt would be legal and unrestricted in any Old School format. Fourth, the creation of the paris mulligan reduces the expected amount of damage of Black Vise by a non-trivial amount. As described in the third article in this series, I designed a Zoo deck with high hopes that I might abuse Black Vise. Unfortunately, both testing and tournament experience established beyond any doubt, that the worst card in my deck was Black Vise. It’s simply far too easy – even for control strategies – to get under Vise range. And, as amazing as a multi-Vise draw sounds, the reality is far less appealing. The damage that Vises inflict early on is counter-balanced by the fact that they are simply dead cards a few turns later, when you would rather have had a creature doing that damage instead. Permitting Black Vise also offers important strategic options for decks like the O’Brien School and Stasis decks, who may not wish to have to rely on a singleton Vise or inferior creatures. 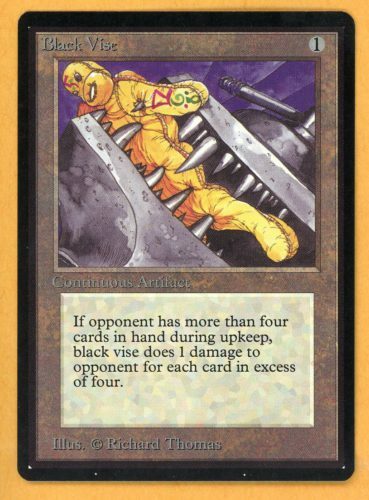 More so than any other card I will discuss, Black Vise is a card that I would urge other groups to unrestrict to broaden strategies within Old School communities. In summary, Black Vise is a surprisingly fair card, the reasons for its restriction do not hold for Old School Magic, and the fact of its restriction in 93/94 is especially puzzling. The only reason I would seriously consider restricting Black Vise is if we wished to permit unrestricted Strip Mine. Even then, I probably wouldn’t. 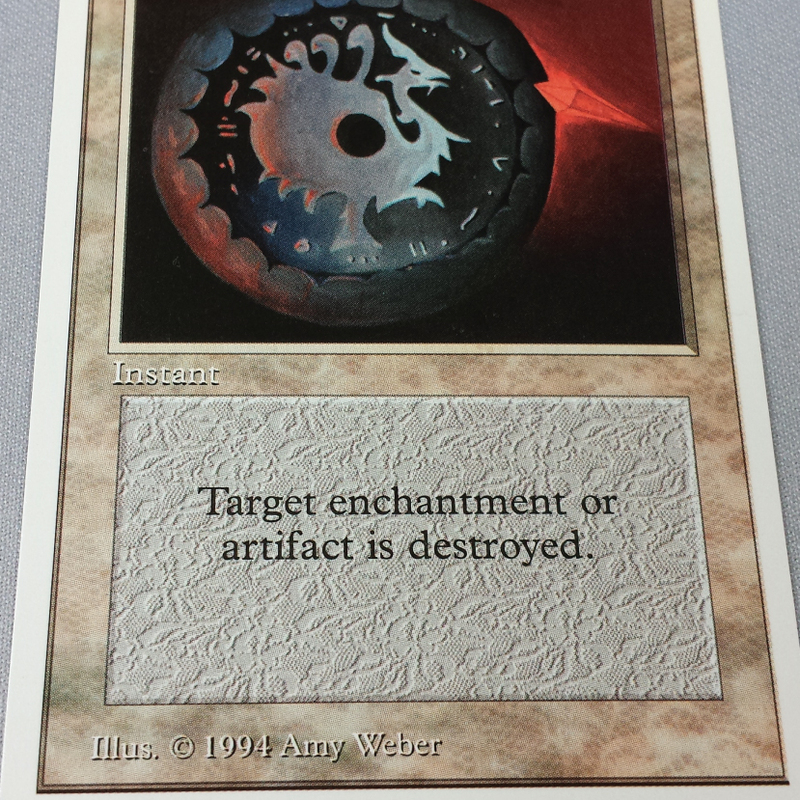 Chaos Orb was restricted in the constructed format that eventually became Type I on August 1, 1994, and was then banned, along with Falling Star, November 1, 1995 (where it has remained ever since). 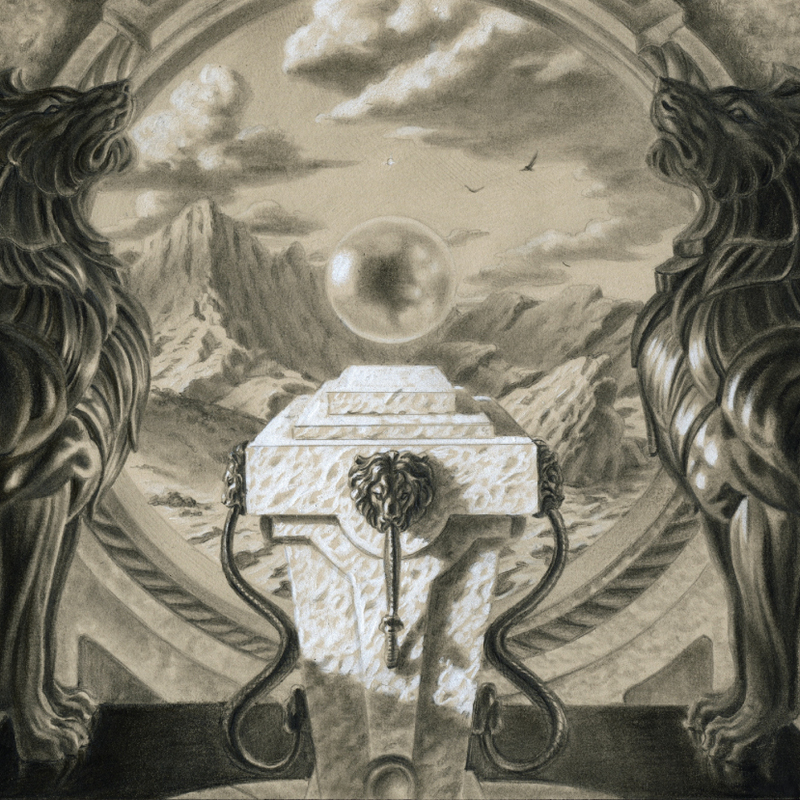 Nostalgically, Chaos Orb was part and parcel of the most prominent period of Type I play – the period from the Fall of 1994 through most of 1995. It makes sense, then, that most Old School formats, including 93/94, have legalized it (although 93/94 did not originally permit it). The real question about Chaos Orb is less one of whether it should be restricted or not, then one of rules. The reason Chaos Orb was banned was because of the challenge of monitoring and adjudicating disputes over dexterity matters as well as the space considerations that are implicated by Chaos Orb – and the tendency – in a Chaos Orb environment – to spread cards across a table in a way that may interfere with orderly tournaments. Was Chaos Orb dropped from a foot height? Did Chaos Orb rotate the required 360 degrees? Did Chaos Orb touch (or does it touch) a particular card? If Chaos Orb doesn’t touch or overlap, does its sleeve? Resolving Chaos Orb almost requires a judge’s presence to guarantee no dispute – and even then, how is a ruling to be appealed? On what basis? Chaos Orb presents a problem where, if both players disagree about any one of those matters, there may be no good solution. 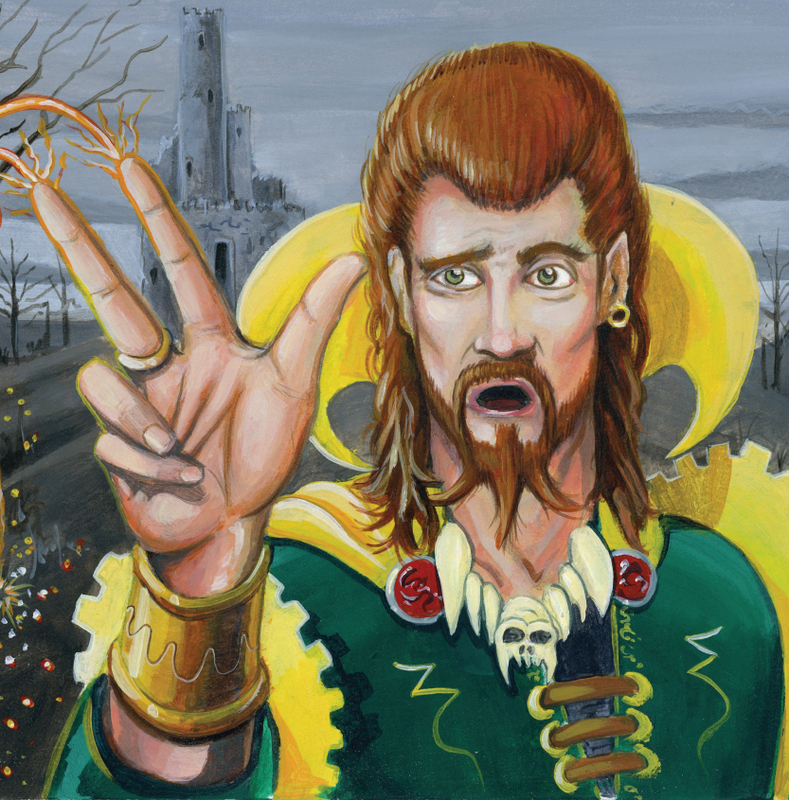 One might suppose that in the friendly environs of Old School Magic, these may not be serious issues – but even well-meaning people can disagree in good faith. I had a particularly astounding Chaos Orb incident where the corner of the sleeve appeared next to another card on the table, but neither my opponent nor myself could tell – from sight alone, looking at a stationary object – whether the corner of the sleeve was technically “touching.” You just couldn’t tell. It was maddening. If it was touching, it was touching by microns. Eventually, we both decided that it was, but only on the equities, rather than certainty. This errata is functionally similar to targeting – and by targeting one permanent, the problem of destroying multiple cards at once is avoided, and therefore the incentive to space one’s cards apart. But that fix does not fix or resolve all or even most of the problems that may arise. Because the “touch rule” errata leads to too many disagreements, Eternal Central changed the rule to requiring that Chaos Orb “lands” on the targeted permanent, a rule that I happen to endorse. 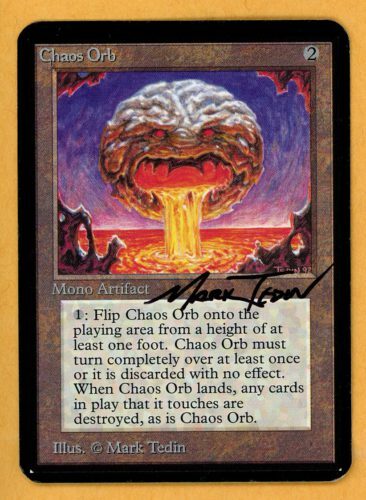 Chaos Orb is an enormously flavorful and powerful card that is, in many respects, part and parcel of the Old School Magic experience. But permitting it should be done only with forewarning, and even perhaps an announcement, regarding these issues. A sample decklists featuring this kind of deck, provided by a contemporary player, is available in my History of Vintage Chapter: 1996 for the intensely curious. Fastbond is a card that can be abusive with card draw like Timetwister and Wheel of Fortune, but the lack of other draw7s in most Old School Magic formats makes Fastbond not only more fair, but a very interesting and fun card that can be a cornerstone of what few combo strategies might emerge. Fastbond was a key card in most Enchantress strategies, Recursion strategies (especially those with Forgotten Lore), Lich strategies, and a number of other combo strategies. Fastbond becomes much more powerful with Ice Age, and especially, Alliances. The reason is that Ice Age provides Glacial Chasm, which prevents all damage with Fastbond, and Diminishing Returns, another draw7. As noted above, Fork was restricted in April, 1995, along with Balance. Fork’s restriction was never officially explained, but a Bay Area player named Mark Chalice won a major regional Type I tournament with a combo deck that focused on Fork. His deck was designed to combo out by Forking Time Walks in order to take essentially infinite turns in a row. Once he was able to Fork the first Time Walk, his Howling Mines and other tactics kicked in such that he could use either Timetwister or recursion effects to continue to take additional turns. Fork was most feared because of its capacity to copy restricted cards like Ancestral Recall, Time Walk, and Demonic Tutor. 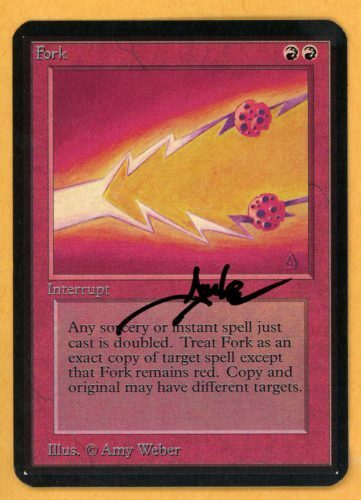 But Fork is also a notable anti-countermagic tactic, because it can copy any counterspell and deflect it. Fork was once restricted in 93/94, but is no longer, and was never restricted in either NorCal Old School nor under Eternal Central rules Fork is a fun and quirky card, and it is the general consensus that Fork should be permitted unless it is proven too powerful as a result of tournament results. Jayemdae Tome, AKA “The Book,” is The Deck’s unrestricted draw engine. It and Disrupting Scepter form the hammer and tongs, the charybdis and scylla, the pincers that disrupt and overwhelm other opponents. In the Weissman version of The Deck, Tome and Scepter were on equal footing, if not a slight edge to the stick. In Old School environments, the reverse is true. Many of the most successful and popular variants of The Deck load up on Felwar Stones. As a result, they can activate multiple Tomes per turn without breaking much of a sweat. The restriction of Mana Drain was felt necessary to help keep The Deck in check. But in many environments, The Deck can still feel oppressive. There are plenty of tools in the environment to attack The Deck (such as Energy Flux), but in environments where players prefer to play The Deck than beat it, I believe that Tome would be the next place to start to weaken The Deck. Thus far, no one has restricted Tome, but I believe it it is the logical step to thwart overly The Deck centric metagames that do not incorporate cards from 1995. Hymn to Tourach was never restricted in Type I, but was briefly restricted in NorCal Old School. It is not restricted in Eternal Central Old School, but is it not permitted at all in 93/94 because Fallen Empires is not legal. The question of whether to restrict Hymn only arises for formats that permit Fallen Empires, as most do. Hymn to Tourach is a powerful and sometimes frustrating discard spell, especially when it is played on the first turn and takes out a key mana source. On the other hand, Hymn to Tourach is an anchor for Discard, a strategy that was once prevalent in Type I, but has all but disappeared in both modern Old School formats and contemporary Magic. And possibly some Mindstab Thrulls, is the beginning of a viable strategy. One of the best plays in old school Type I as well as Old School Magic is a first turn Hypnotic Spectre. A Turn 1 Spectre and Turn 2 Hymn is a devastating combo. The main reason to play Fallen Empires is to permit Hymn to Tourach. The main reason to permit Hymn To Tourach is to restore Discard as a pillar strategy of the format, just as it was in the original Type I. In other words, the reason to permit Hymn is to restore the feel and metagame dynamics of the original Type I format, which is the point of the format. On the other hand, it is true that both land destruction and discard, two anchors of Type I, can be frustrating and unfun. I would submit, however, that land destruction is less fun than discard, and that discard strategies are fairer and easier to combat, both through countertactics such as Psychic Purge and through natural game play. 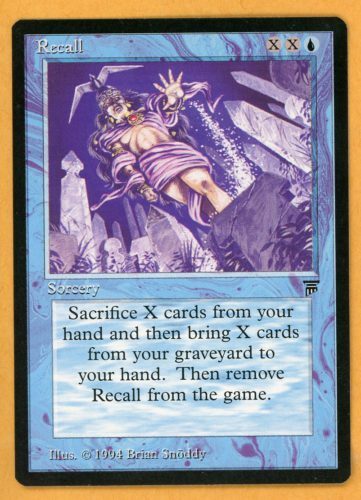 Mana Drain is perhaps the most striking difference between Old School Magic formats and circa Type I. Mana Drain has never been restricted in Type I. Mana Drain was permitted in Old School Magic at its inception, but this card’s metagame dominance proved eventually overwhelming, and is now universally restricted. The elimination of mana burn from the rules of Magic render Mana Drain essentially strictly superior to Counterspell. 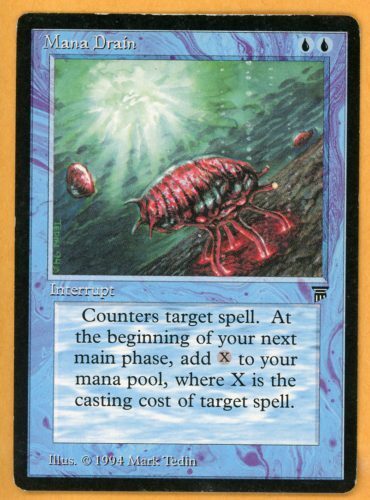 For the unfamiliar, Mana Burn was a rule that stated that any unspent mana generated would turn into loss of life at the end of the phase rather than simply “clearing” as is the case today. Some Old School Magic communities or rules restore mana burn to the format, but even then, like Eternal Central, Mana Drain is restricted. Restricting Mana Drain is a controversial move because it weakens one of the most popular and alluring strategies in the format: Playing the Weissman Deck (See Chapter 2). On the other hand, Mana Drain is so ridiculously powerful in this format that it often stifles creativity, innovation, and other strategies simultaneously. Restricting Mana Drain also opens the door to more variants of counterspell seeing play, such as Power Sink and others, that would not likely see play if Mana Drain were legal. Restricting Mana Drain is a tremendous deviation from the original appearance of period Type I, but experience has demonstrated that it has done little to diminish either the popularity or ultimately the power of The Deck strategies. Nonetheless, this decision is one that you will want to make as a community. Banned in Legacy since the format’s inception, you may be surprised to learn that Mana Vault was not restricted in Type I until 1999, after the emergence of the Academy decks. There was a 2-3 year period where Mana Vault and Mana Crypt were unrestricted and fueled a number of entertaining and often silly decks. Foremost among them were Atog decks and, more seriously, Prosperity combo decks that killed you with Black Vise. 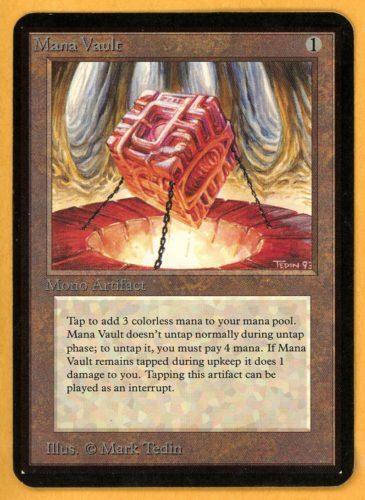 Mana Vault was also a critical tactic for accelerating out an early Nether Void in the O’Brien School. Although Mana Vault was legal as a 4-of in historical Type I, Mana Vault was restricted in most Old School Magic formats until recently. 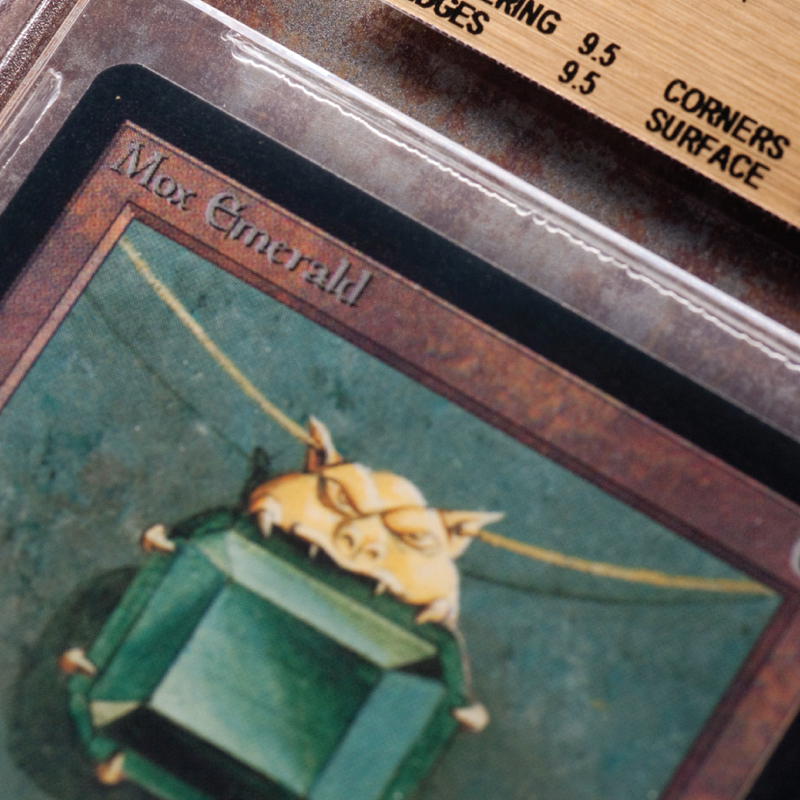 Surprisingly, the Swedish 93/94 community unrestricted Mana Vault in the Spring of 2014, and the Eternal Central group followed suit. Many decks play the Vault to get explosive start, but I have a hard time seeing The Deck or any of the other top tier decks using more than 0-2. It appears good in some sort of Hurkyl’s Recall Fireball combo deck though, and it also looks very good in budget monoblack. In monoblack it can increase the power of an early Mind Twist, cast an early disk, or consistently play Sengir Vampire turn two without power. Casual combo and powerless decks are both archetypes we don’t mind giving an extra boost to though. It will be interesting to see if this will make an impact, so here goes. Mana Vault is unrestricted. Mana Vault: Not much to say here. Unrestricting the vault last year seems to have opened a number of new viable, but not dominant, archetypes. Decks like Atog, Monoblue Artifacts, and Nether Void have entered the stage in the wake of Mana Vaults unrestriction. Mana Vault stays unrestricted. The NorCal Old School group, however, is more circumspect. Although Mana Vault can be a boon for a number of decks, like those just mentioned, one of the strongest unrestricted cards in the format is Transmute Artifact. I believe that Transmute is one of the best reasons not to unrestrict Mana Vault. Decks that permit Mana Vault can accelerate out quickly, whether it is Juggernauts or Nether Voids, but they then have staying power with combo parts like Transmute Artifact. As the format becomes more competitive, I have little doubt that Mana Vault will be more obviously abused over time. Until then, Mana Vault appears to be a card that opens up some new strategic vistas, but can also be quite dangerous in the wrong hands. 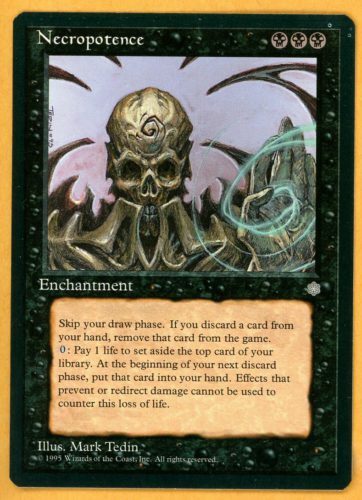 Maze of Ith was the sole card to be immediately restricted after the release of The Dark in the Fall of 1994, and it remained there until 1999. Maze of Ith exemplifies the type of card whose value is difficult to assess without experience in the format because its power diverges so greatly from modern magic. In contemporary Magic, Maze of Ith is laughably poor. It impedes mana development by taking up a land drop, is vulnerable to any form of land destruction, like Wasteland, and doesn’t even stop most key threats, like Young Pyromancer or Monastery Mentor. Yet, in Old School Magic, Maze of Ith may be one of the best cards in the format. And, what’s more, it’s much better in Old School Magic than it was in its heyday. 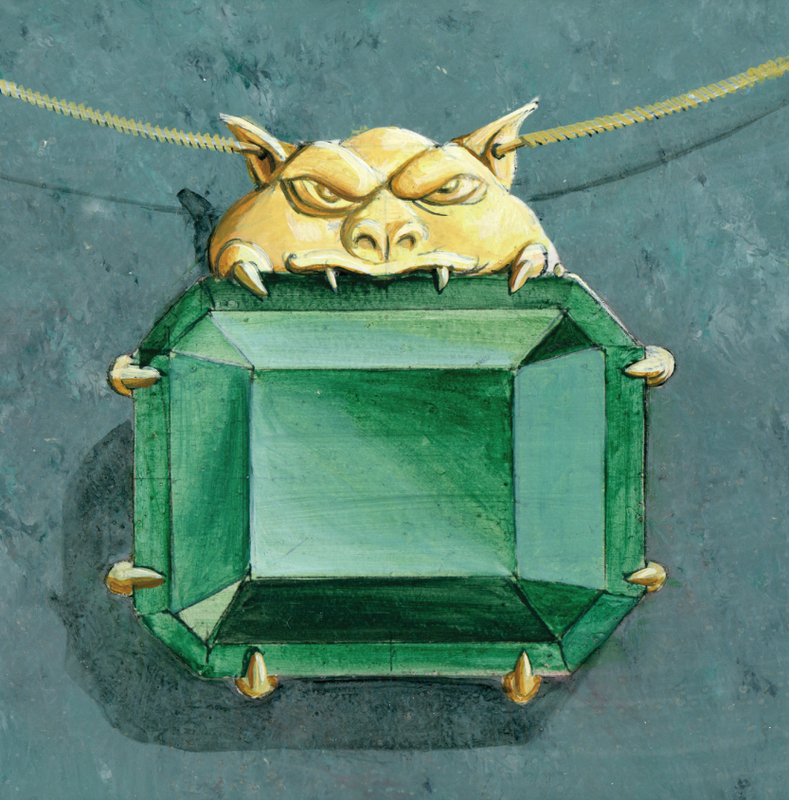 First and foremost, unlike modern Magic, almost every strategy in Old School Magic involved creatures in some capacity – either as finishers or tactical complements. For that reason, Maze of Ith is going to be useful in almost every matchup. It is better than a removal spell in most cases because it actually stops the best creature in any given situation. Moreover, Old School Magic is defined by a set of creatures that are much weaker than creatures are designed today. The best creatures in the format are Serra Angel, Juzam Djinn, Hypnotic Spectre, Juggernaut, and Serindib Efreet, among others. Most of these cards are big creatures that attack for a good deal of damage per turn. 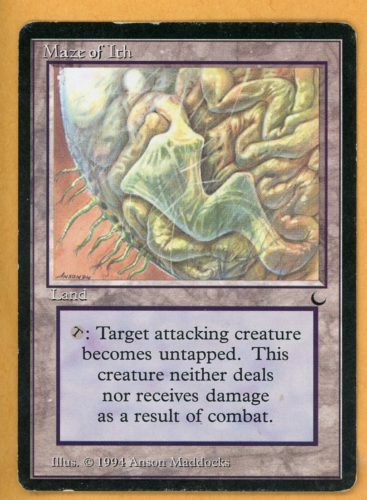 A turn one Maze of Ith may be one of the most efficient and surefire ways to prevent immediate damage after a turn one Hypnotic Spectre, Juzam Djinn, or Juggernaut. A single Maze of Ith can prevent a tremendous amount of damage over the course of the game for a very light investment. Maze of Ith buys time to find and resolve answers to other creatures. Because of the type of creatures that predominant Old School Magic, Maze of Ith is one of the best answers. Maze of Ith also has many advantages today that it did not enjoy in the past. First, under the old mulligan rule, Maze of Ith disrupted the capacity to mulligan. Maze of Ith in a hand with no other land meant that you could not mulligan. Second, in most Old School formats, Strip Mine is restricted, so that Maze of Ith is even more difficult to remove. Blood Moon is another answer. Maze of Ith also enjoys tactical flexibility. In an Old School Magic tournament I won (my report was presented in Chapter 6), I attacked with two creatures against one defender. I used my Maze to untap and prevent the damage to the creature that had been blocked. Maze of Ith is not simply a tactic to prevent damage from an opponent’s creature, it can also protect your attackers in that way. Ultimately, it should be acknowledged that the Weissman deck never used Maze of Ith. The reasons for this are self-evident. Maze of Ith is not a mana source and impedes development, and it is not a source of card advantage, the principal rule of the Weissman school. That said, I think it is a mistake to omit. I played Weissman-style decks (independently designed) in 1994 and 1995, and I always included a single Maze of Ith. My experience with the Weissman school in Old School Magic has not changed my opinion on this matter. Maze has consistently proven one of the best cards in my deck, time and again. It is well worth the land drop. Maze of Ith may be one of the best cards in the format, but it is not easy to justify restricting a card of this nature. Maze neither deals damage nor wins the game by itself. It’s restriction may well have been justified on grounds of pace of play, much as Ivory Tower and Zuran Orb were, as tournament dominance. And, it is not easy to imagine decks filled with 4 Mazes – yet that may well be the result of an unrestricted Maze format. Because of the limited number of creatures in the format, and the limited number of creatures that can be protected, a format with unrestricted Mazes could become very slow indeed. One could imagine games where both players have 2-3 Mazes in play, and are essentially deadlocked with the same number of creatures on each side. Unrestricting Maze of Ith would probably give control decks a huge boost, but would also probably incentivize specific kinds of creature decks. White Weenie decks with Armageddon and UR CounterBurn decks with Blood Moon would become more attractive, while big creature decks with Juzams and Juggernauts would become less so. Control mirrors could be nightmarish, unless Chaos Orbs could be used to remove offending Mazes. Maze of Ith brings into focus the tension between all of the competing interests in Old School. For a tournament organizer or community applying modern sensibilities, and especially those used to guide B&R list policy in Vintage or Legacy, Maze of Ith is probably not only an unnecessary restriction, but unjustifiable. It doesn’t produce dominant decks and isn’t an engine of any kind. Yet, it is telling that no Old School group I am aware of has unrestricted Maze. A format with unrestricted Mazes could be either fascinating or interminably boring. Thus far, no Old School Magic group has decided to unestrict Maze, and that’s probably wise, for prudential reasons as much as concerns over tournament dominance. Folks might be surprised to discover this, but there are a number of players who are increasingly uncomfortable, especially in 1994 versions of Old School, with unrestricted Mishra’s Factory. It is not simply that Factory is a strong creature and that it can be difficult to remove, it is the fact that it is seemingly everywhere, and verges on a presumptive inclusion regardless of strategy. I will confess that Factory sees much more play in Old School Type I than in historical Type I, for a few reasons. First of all, Moat is less prevalent as an anti-aggro tactic. Control decks in early 1995 generally ran Moat. That is less true today. Second, Strip Mine was unrestricted in historical Type I, making Factory not only more vulnerable, but more costly to your mana base. The opportunity cost of Factory is generally a valuable dual land that can produce a primary and secondary color. Playing Factory impedes mana development. Third, land destruction was far more popular in historical Type I, so Factory strategies were more risky in general. Factories are less attractive when Sinkhole is a third of the format. Perhaps most importantly, however, Factory is simply more powerful than before. The 6th edition rules changes notably improved Factory’s power level by allowing it to pump itself after blocking by tapping itself, and thus dealing damage. Now, Factory can block a (boosted) Kird Ape, inflict lethal damage and survive combat. For this reason, some have even gone so far as to suggest special errata to restore Factory’s original functionality. I believe we are still a long way away from needing to seriously discuss restricting Factory. Tactics like Blood Moon are under played, and some players are trying to address the problem by including copies of Stone Rain and other similar cards main deck. 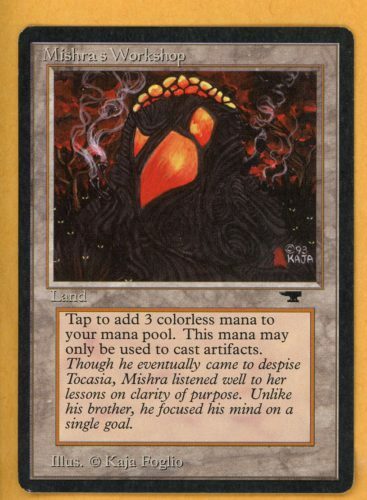 Mishra’s Workshop was restricted in June, 1994, very shortly after the release of Antiquities, and before Legends arrived, and was unrestricted in 1997. Mishra’s Workshop has been a source of controversy in Vintage ever since, and has been banned in Legacy since its inception. Mishra’s Workshop is and remains restricted in every Old School Magic format except Eternal Centrals. Playing under Eternal Central rules, both Winter Orb and Howling Mine ‘turn off’ when tapped, making Icy and Relic Barrier a combo with both (note, Winter Orb recently received special errata so that it now turns off when tapped, restoring it’s original functionality). This deck could accelerate out monsters quickly, and then replenish it’s hand while denying you the ability to do anything. It’s probably the case that a multi-color version of the deck is simply better. A multi-color version gets access to all of the restricted cards, and a set of Transmutes and Copy Artifacts. The case against Mishra’s Workshop is not just that it could be overpowered, but that it is inconsistent with the feel and flavor of Old School Magic. Old School Type I never had Workshop unrestricted. Moreover, Artifact based strategies are already powerful enough (especially in metagames that permit unrestricted Mana Vault). In a format with Strip Mine restricted, the case for unrestricting Workshop is even more tenuous. It’s not that Workshop decks can’t be beaten, but there is already a mismatch between the availability of artifact removal across the color pie and the density of artifacts in the format. It’s not difficult for artifact-based strategies to simply overwhelm their opponents unless they go overboard with artifact answers that may be useless against other strategies, or fill their sideboard in the manner that many Vintage players have become accustomed. I’m on the ‘keep Workshop restricted’ group, but there is a legitimate case to be made for permitting it. It’s worth considering the unrestriction of Workshop as a way to spice up your local Old School metagame, but it’s also something that should be carefully watched. Mirror Universe was unrestricted in 1999, and was initially unrestricted in the Swedish 93/94 group, which restricted it in 2012, and then unrestricted it again last year, following the decision by the NorCal group. We unrestricted Mirror Universe for one main reason. A rules change weakened it, much as rules changes have weakened many formerly restricted cards. Under pre-6th Edition rules, you did not automatically lose the game by going to 0 life. Therefore, you could activete a City of Brass to take a point of damage (or use Necropotence (or even mana burn, under some rules), and activate Mirror to win the game. Mirror Universe became a functional one-card combo in a number of decks, especially control decks that allowed their life to slowly dwindle away. Sixth edition rules changed this rule, and a player now lost the game automatically any time their life went to 0 or below. Under modern rules of Magic, Mirror Universe is still a powerful effect (especially in Lich or Necro decks), but it is no longer a one-card combo. Moreover, Mirror Universe’s expense and conditionality limit its capacity for damage. Mirror Universe is a six mana spell, and has to be in play a full turn before it can be activated. 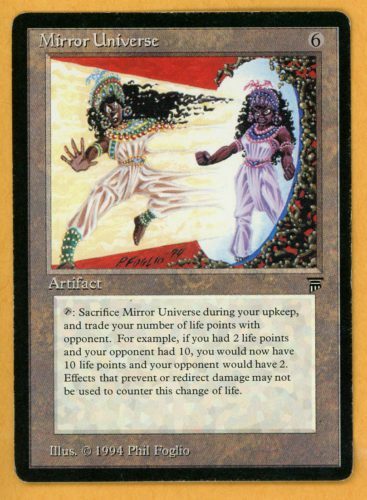 Mirror Universe is best in a control deck as a tactic against burn decks or decks that can do a good amount of quick damage as a way to quickly refill your life, but it is not an otherwise generally powerful tactic under modern rules. The arguments for its restriction are tenuous, at best. For communities that permit Ice Age, such as The Conference of Professionals, the decision to restrict Necropotence or not, is the most important decision you need to make as a consequence. Necropotence was permitted in Type I play through the entirety of the 1990s, and was ultimately only restricted in 2000. The reason for that is that, until that point – and the emergence of the Illusions-Donate combo in particular – Necropotence was mostly used to fuel Aggro decks (although there were a few decks, such as Mike Long’s in the 1999 Invitational that used Corrupt and Mirror Universe). Necropotence became, for a long time, one of the most important predator strategies to blue decks because it could overwhelm blue decks with card advantage, something few other decks could do. Necropotence decks then refilled their hands with Ivory Tower and Zuran Orb. There are compelling reasons to restrict or keep Necropotence unrestricted. On one side of the ledger, Necropotence was an important part of the period Type I metagame, and it’s presence helps restore the original feel of that format. Necro decks have a long and fascinating lineage that is fun to relive. Moreover, although Necropotence decks are a useful predator to the Weissman School, Necropotence decks are easily checked by fast burn decks and more aggressive weenie decks. Black Vise in particular is a devastating anti-Necro tactic. On the other side of the ledger, Necropotence can take over tournaments, and is a cheap and inexpensive deck to build relative to many Old School decks. Necro decks can feel unfair at times, and can support a surprising range of strategies, and can continually refill itself with Zuran Orb and Ivory Tower. At the end of the day, whether to restrict Necro or not is an important judgment call. If you’ve never experienced a Necro environment, there is something to be said for letting folks enjoy it. There are certainly enough tools to combat it. But if you want to really enjoy Ice Age Old School, then restricting Necro is the best way to ensure that other strategies aren’t squeezed out. Power Artifact is one half of an infinite mana combo with Basalt Monolith. It is not unreasonable to restrict a card that can have that effect. There more than a few ways to win the game with infinite mana, including Fireball effects. The most natural way in an artifact deck may be Rocket Launcher. The 93/94 crew restricted it on this ground, noting that Transmute Artifact can be used to find the Rocket Launcher once infinite mana has been generated. It should be noted that Basalt Monolith (and Relic Bind) were issued errata back in the day to prevent these interactions. This errata was removed in 2006. 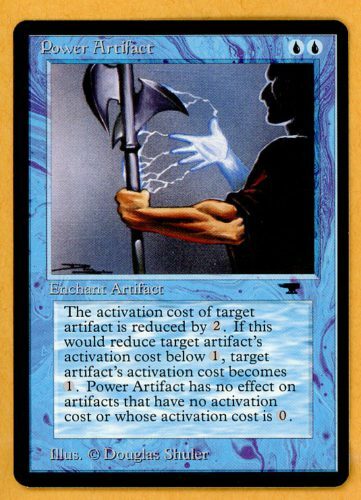 Power Artifact: Power Artifact is a scary card. […] On the other hand, it’s a three-card Rube Goldberg machine combo, where the enchantment has very little effect on its own. It has not showed any great results as a one-off card in the Scandinavian 93/94 tournaments yet, though the combo is obviously much harder to assembly when you only have a single copy of the only non-transmutable part of the win. The Eternal Central B&R has the card unrestricted, and Danny Friedman played a goodstuff Power Artifact deck (without Transmutes) to the top4 of the Eternal Weekend Old School tournament in Philadelphia, so it’s clear that the card has potential. Again though, it looks like a fun deck and it would be interesting to give a solid combo some more room in the format. Hopefully nothing will break, and if it does I guess we can always restrict it again in a year. Power Artifact is unrestricted. Experience with Power Artifact has shown that Power Artifact can fuel interesting combo decks, but has not proved problematic in the metagame. But if players are comfortable with Power Artifact combo, they should bear in mind that it is difficult to distinguish between the three card combo needed to win with Power Artifact and Time Vault in that respect. Time Vault is, in many respects, far more difficult to assemble and execute than Power Artifact. (see below). 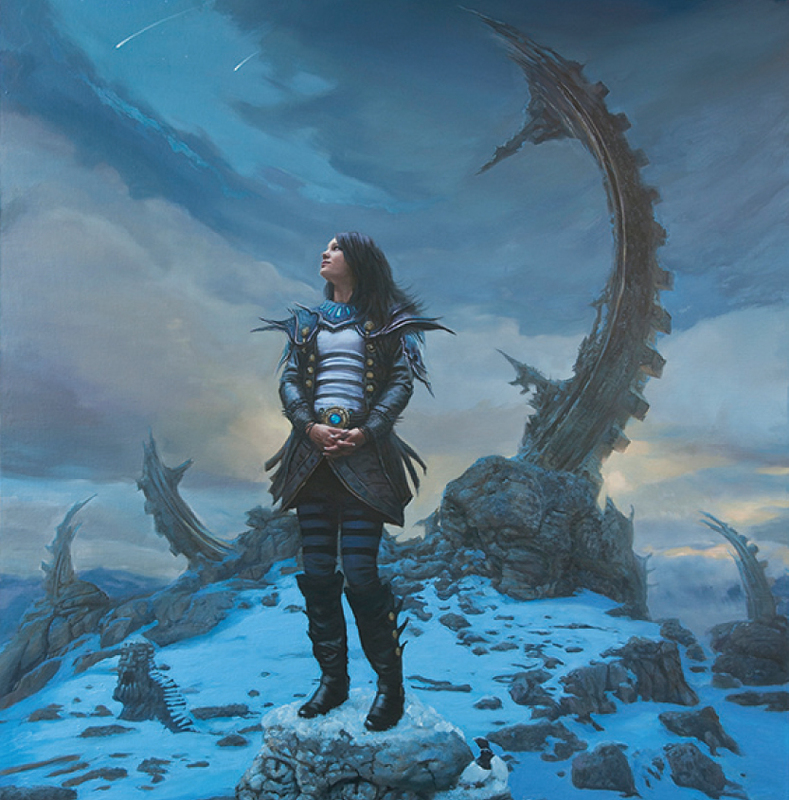 Recursion was a powerful and feared strategy in the early days of Magic, where concerns were more broadly felt about players taking multiple Time Walk turns in a row, and so forth. The tolerance for this kind of game play today is greater than in the 1990s. Bearing in mind that Feldon’s Cane was restricted in historical Type I, Recall and Regrowth were regarded as some of the best cards in the game. Yet, what modern game awareness reveals is that the absence of tutors and the unrestriction of most of these forms of recursion in contemporary Vintage formats has yielded precious little to be concerned about. Regrowthing Time Walk, Ancestral Recall, or even Strip Mine (especially if you play in a 4-of Strip Mine environment) can be devastating, but, then again, your opponent can make the same plays. The case for restricting both Recall and Regrowth rests primarily on the historical classification of both spells on the restricted list, and secondarily on a recognition and appreciation of their power. Yet, the cases are not airtight. While Recall is of potentially greater power, it is also more expensive and imposes a greater cost. Recall isn’t a cheap spell, by requiring you to discard cards in exchange. By exiling itself, Recall also prevents boundless abuse. Tormod’s Crypt also limits abuse with recursion, since Tormod’s Crypt was printed in The Dark, and could constitute a greater part of sideboard plans. The case for keeping Recall restricted is weaker than Regrowth, but I suspect that tradition, fear and inertia explain the lack of experimentation with unrestricting either card than a solid base of evidence for their restriction. I would strongly support groups that wish to experiment by unrestricting either one of these spells. Recall strikes me as the safer candidate, but Regrowth may be the more interesting. Shahrazad is a controversial card with a checkered past. Shahrazad was banned in the first ever Banned and Restricted List announcement on the grounds that it was too disruptive for tournament play. As DCI member and rules guru Beth Moursund later explained, “this [card] simply takes too long and holds up the whole tournament.” The space and time needed to resolve subgames caused too many matches to go to time, resulting in draws and other negative effects. 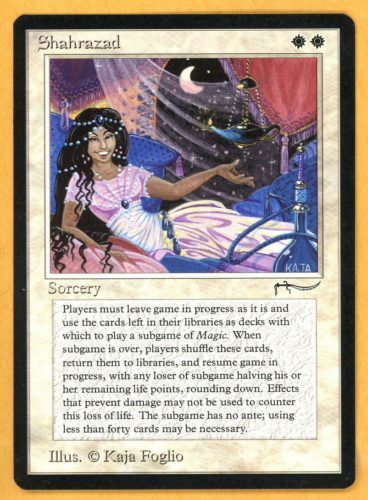 Nonetheless, Shahrazad was unbanned in 1999 without much explanation. Then, equally abruptly, in 2007, it was banned again, again, for “logistical reasons.” Organized Play complained to the DCI that Shahrazad took up too much space and time from tournament facilities. There it has been ever since. The question is: Should Shahrazad be permitted in Old School Magic? Different groups have come to different answers to that question. The 93/94 group restricted Shahrazad, a measure designed to prevent a strategy being designed around it, and curtailing the potential for abuse by creating multiple nested subgames. The NorCal group followed suit. Rather than ban it, restricting it limits its capacity for abuse while allowing it to be used as a tactic in White Weenie strategies or other strategies that want to inflict some heavy damage. The Eternal Central group permits unrestricted Shahrazads, but that is not the norm. 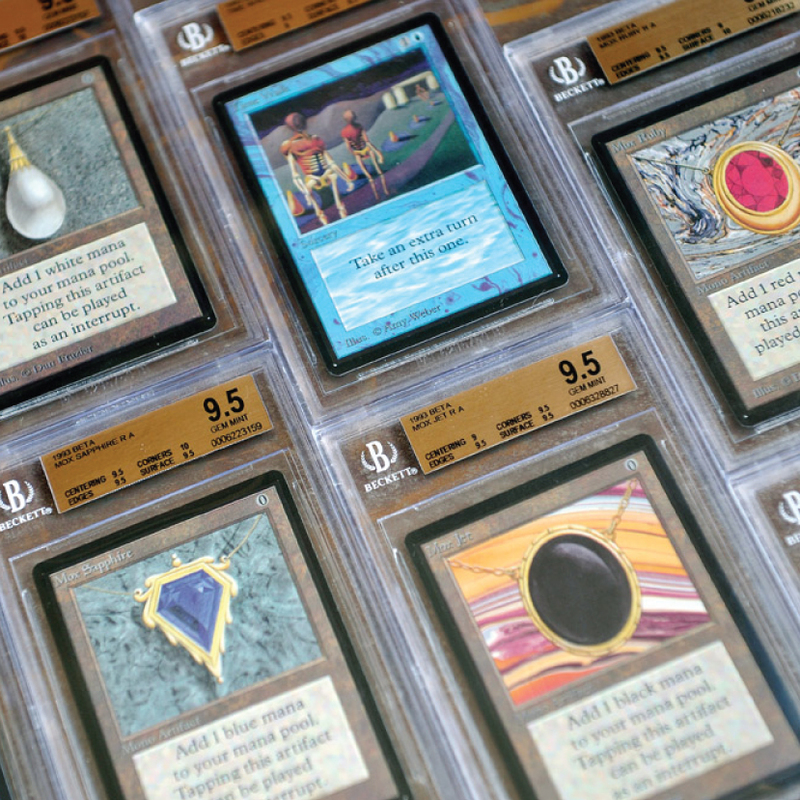 As astonishing as it may seem to modern players, Strip Mine was legal through the heyday of Type I Magic. It wasn’t until Wasteland was printed in 1997 that Strip Mine was restricted, and it has remained there ever since. It remains one of the most powerful and game-breaking cards in contemporary Vintage. There is sharp disagreement among Old School communities regarding whether Strip Mine should be restricted or not. Eternal Central and New York Old School both permit Strip Mine a four-of. The Swedish Group and my own NorCal Old School group do not. I think the decision to restrict Strip Mine – or not – is probably the most fundamental fulcrum point for defining your Old School format. It not only shapes the metagame you wish to create, but it also reveals, more deeply, a group’s criteria for restriction. Strip Mine is a card that fundamentally brings into focus a group’s pain tolerance threshold. Strip Mine is the anchor for elevating Land Destruction strategies to a pillar of the format, and its mere existence can prompt players to adopt marginal countertactics like Consecrate land. As with Hymn to Tourach in relation to hand destruction, permitting Strip Mine helps revive land destruction strategies. While an important pillar of historical Type I, it is an open question if these strategies should be viewed as pillars of Old School Magic. After all, just because a card was unrestricted in historical Type I does not mean it should be unrestricted in Old School. There is virtually universal agreement on the restriction of Mana Drain. Land destruction is, as noted, one of the most frustrating strategies to contend with in any format. More broadly, restricting or not restricting Strip Mine has knock-on effects that reverberate through the format. There are some voices who believe that Mishra’s Factory needs to be restricted in some formats, for sheer dominance/omnipresence. For players who feel that way, Strip Mine is a ready-made answer. Similarly, Maze of Ith is far less frustrating in a format with multiple Strip Mine. Brian Weissman prefers unrestricted Strip Mine as a more reliable way to address Library of Alexandria, a supremely powerful threat in Old School, even as a singleton. Beyond it’s tactical upsides, there is a more important yet unresolved strategic debate that can be reduced to a simple question: Does Strip Mine promote or inhibit format diversity? Obviously, Strip Mine makes land destruction strategies a stronger option. But proponents of unrestriction argue that Strip Mine creates a tempo play for Aggro decks to compete with Control and Combo decks. A fast threat, such as a Savannah Lion or Kird Ape for example, followed up by a Strip Mine(s), generates tempo and buys time to deploy additional threats and keep an opponent off-balance. Proponents of unrestricted Strip Mine argue that this tactic helps keep these strategies competitive, and therefore promotes strategic diversity. In truth, this is an empirical question that is best resolved by comparing the tournament results from Old School communities that restrict and unrestrict Strip Mine. At this time, such data is quite limited, and therefore unreliable, but the available evidence suggests that environments such as the Swedish metagame, which restrict Strip Mine, have more tempo-based strategies (Zoo, White Weenie, U/R, etc.) as a percentage of Top 8 decks than those environments, such as Eternal Central, which permit a full complement of Strip Mine. The small sample sizes and margins of error likely dwarf any observed differences in the data, but it is something to examine more closely in the future. Although there are theoretical reasons to believe that Strip Mine makes land destruction and tempo and aggro strategies stronger (for the reasons just described), there are two key reasons to believe that Strip Mine ultimately constricts, rather than expands, strategic diversity. 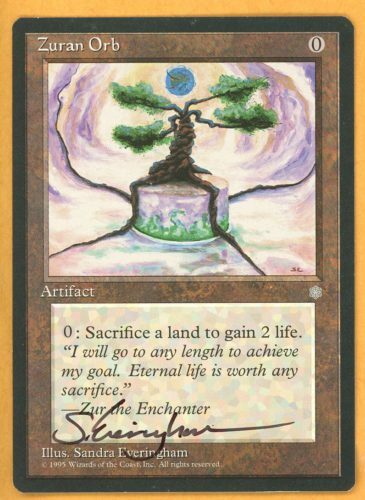 First, there are a number of niche or specialized strategies that rely on utility lands, such as Tron (used by mono-brown decks and some ramp/burn decks), Tabernacle (used by various prison strategies), Bazaar of Baghdad (in Reanimator strategies), or decks that otherwise create specialized lands, like Enchantress, which will stockpile Wild Growth on a single land. Each of these strategies, and others like them, are undercut by presence of Strip Mine. In fact, I think it’s fair to say that some of these strategies or others like them are ultimately unviable in environments with Strip Mine unrestricted. For environments that seek to promote wacky ideas and unconventional approaches, Strip Mine can inhibit creative deck building in favor of more linear strategies. This danger may become more pronounced, not less, as more sets are permitted, as larger card pools feature more specialized lands, like Glacial Chasm, for instance. Second, unrestricted Strip Mine restricts strategic diversity in a more general way. The presence of unrestricted Strip Mine raises the average mana density (ratio of land to spells) in the format by requiring most strategies to play more land than they otherwise would in an environment where Strip Mine is restricted. This is both because they may want to employ Strip Mine as a tactic and because they need to ensure that they are minimally resilient to Strip Mine attack. The result is that Old School environments where Strip Mine is unrestricted not only have higher average land counts, but more problematically, they are more homogeneous in terms of land counts. This impairs strategic diversity because more uniform mana density ratios tend to produce less strategically diverse environments. Put in practical terms, unrestricted Strip Mine makes it more difficult, if not impossible, to build and design decks in Old School that are designed to generate virtual card advantage on the basis of relatively low mana to spell ratios. Strategies that might gain an advantage over time by drawing relatively more spells on account of having fewer lands and a lower mana curve are pushed to increase their land count to employ and combat Strip Mine. I have personally experienced this in designing Blue-Red Aggro Control decks (featured in forthcoming chapters) which I would prefer to play with a significantly lower land to spell ratio to enjoy the benefits of virtual card advantage. But it is no less true of other decks like White Weenie or other strategies which are compelled to both include Strip Mine and more colored mana sources to defend against Strip Mine. The fact that environments with unrestricted Strip Mine punish strategies or deck design approaches that might gain an advantage with a lower mana density probably redounds to the benefit of The Deck variants and other multi-color control strategies, which naturally require a larger mana base and higher mana density. It should not go unnoticed that Strip Mine is a tactical tool of The Deck variants, and although it might help tempo strategies in theory, there are reasons to believe, on net, it helps The Deck more. At the end of the day, it is probably true that unrestricted Strip Mine both expands and constricts strategic diversity, but in different ways. Deciding whether to permit Strip Mine in maximum quantities may well be an exercise in metagame construction, subtly incentivizing some strategies and discouraging others. Since I prefer metagames with more creative and non-linear strategies, I view Strip Mine as a net negative, at least in so far as it concerns strategic diversity. But perhaps the most damning critique of Strip Mine lies less in it’s metagame shaping power, and more in the kind of games it has the potential to generate. Having played in environments, both historical and modern, with unrestricted Strip Mine, I can attest that a non-trivial number of games that are simply decided by one player or another drawing multiple Strip Mine. For people who complain about interactivity in Magic, or wanting to actually “play Magic,” Strip Mine does, in fact, generate an observable number of miserable, non-interactive game states. These are games where a double or triple Strip Mine, aided with a recursion spell or a Chaos Orb, have kept my opponent either off mana entirely or a vital color, and turned an otherwise potentially interesting game into a blow out. Communities that permit it will defend it on the ground that it does not dominate environments, but ignore or rationalize the non-trivial number of games it renders non-interactive. Balancing the pros and cons of Strip Mine is challenging. Proponents believe that unrestricted Strip Mine improves the competitive position of Aggro decks while also addressing potentially problematic tactics like Mishra’s Factory. 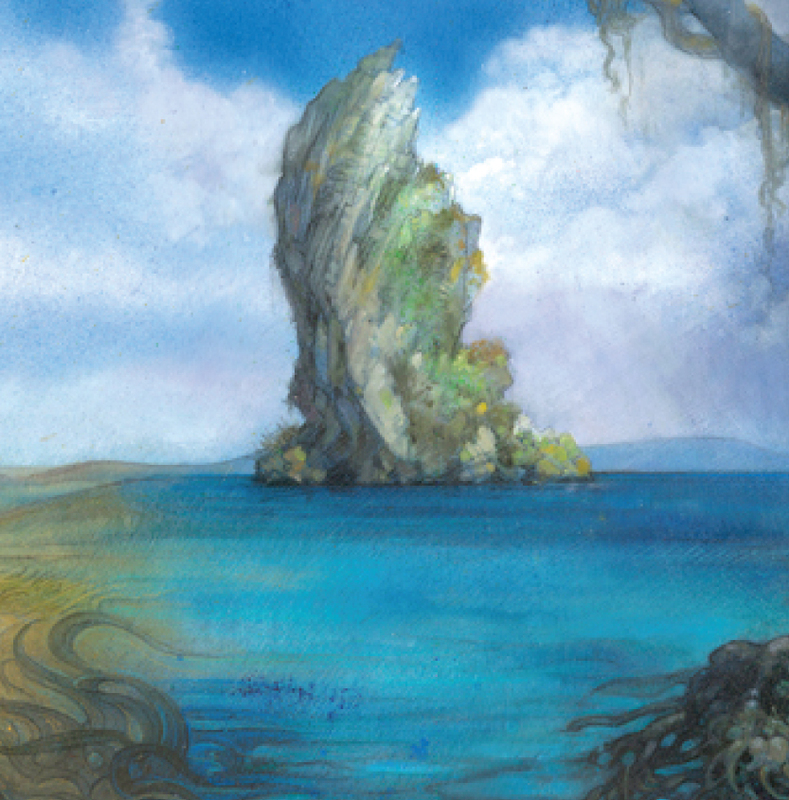 Critics argue that it produces an unacceptable number of blow outs, and restricts the strategic diversity of the format by weakening strategies that rely on specialized lands and homogenizes mana densities and therefore deck design possibilities. 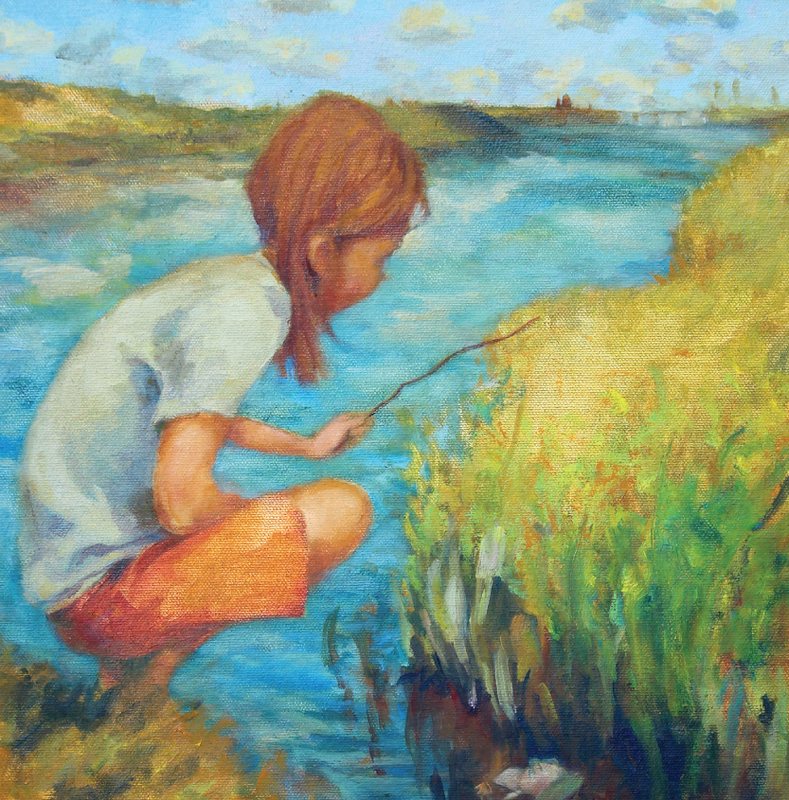 Where you and your playgroup land may depend upon what you value or fear most. If you fear Factory as much as some players do, then Strip Mine is a force for good. But if you want to see more Tron, Enchantress, or Tabernacle decks, and want to build decks to generate virtual card advantage along Turbo Xerox principles, then Strip Mine is a deterrent to creative deck-building. Strip Mine is a polarizing card, but it is also shapes formats in many ways, some of which we understand and some of which we never will. 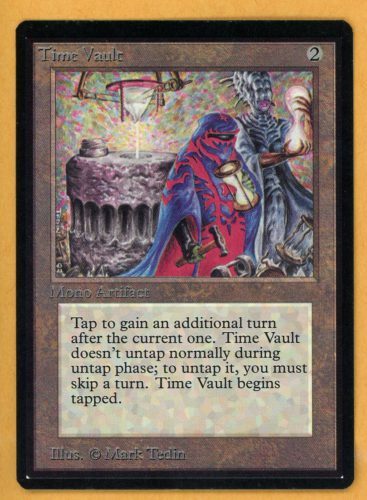 Time Vault is one of the most infamous Vintage cards, although it’s stay in Type I was incredibly brief. The reason? Time Vault was part of 3 card combo involving Animate Artifact and Instill Energy. This combo allowed it’s controller to take infinite turns. Time Vault was restricted in January, 1994, and then banned two months later. Time Vault was unbanned when power level errata was issued, rending Time Vault inert. Finally, in 2008, Time Vault was fixed, and promptly restricted. Although it was never a part of the contemporary Type I, it is restricted, and not banned, in virtually every Old School format. In one of the final chapters in this series, I will discuss Time Vault strategies in more detail. It turns out that there are many interesting and viable options for using Time Vault, even as a singleton, largely because of the presence of Transmute Artifact. There are also more combos for going infinite or taking many turns with Time Vault than Animate Artifact and Instill Energy. I will discuss those in the future as well (but for the impatiently-curious – Transmute Artifact can find an Instill Energy substitute, Jandor’s Saddlebag). But the issue I’d like to discuss is the possibility of unrestricting Time Vault. Although you can take additional turns by using Twiddle on Time Vault, or functionally, with Stasis, any infinite combo shenanigans involves three card combos. The Conference of Professionals group in New York doesn’t restrict Time Vault (although it is on a “limited list” discussed earlier). There is a serious case to be made for unrestricting Time Vault. Old School Magic formats that use sets up to the mid-1990s do not have Voltaic Key, let alone Tezzeret. The difficulty of assembling a three card combo that has to be protected from both artifact and creature removal is enormous. A single Lightning Bolt on the Time Vault can be a quite unfavorable 3-for-1. In the very earliest days of the game, it is understandable how such a combo could be viewed as abhorrent. But in a more competitive environment, with plenty of removal, or speed decks, such a combo is far more fragile. I am of the opinion that unrestricted Time Vault is probably safer than a number of other cards that Eternal Central permits, including Mana Vault and Mishra’s Workshop. On the downside, 4 Time Vault decks are probably unreasonably difficult to assemble because of the price of the card, despite whatever strategic breadth may be created as a result. And, it may not be worth the risk of inviting some Mr. Suitcase to bring what may be perceived as an unfun strategy. On the other hand, I think that watching a Time Vault player try to assemble the combo could be quite entertaining. Fewer Old School Magic formats permit Zuran Orb, but it was the only card immediately restricted with the release of Ice Age (a historical irony, considering how many cards from Ice Age have eventually been restricted). It was unrestricted a few years later in 1997, and lingered around in Type I tournaments for more than a few more years, but mostly as a singleton. Zuran Orb was used by control decks as an anti-burn tactic, and a way to recover some lost life in the late game. Zuran Orb occupies a similar role in ancient Type I as Ivory Tower, and was restricted for similar reasons. The nascent DCI was concerned that Zuran Orb prolonged games with obnoxious life gain. To contemporary players, that hardly seems like a valid justification for restriction. Zuran Orb, however, had other strategic applications. First and foremost, it could be used with Land Tax to regulate your relative land count. Second, it can be used in a similar manner with Balance. Third, it can be used with Necropotence, Greed, and Lich, to gain a good deal of life. Zuran Orb and Lich is a fantastic combo for drawing cards. I happen to view all of these applications as patently fair, and largely secondary or fascinating synergistic interactions unmeriting of restriction. If you are permit Ivory Tower in maximal quantities, the case of Zuran Orb is considerably weakened. Moreover, Zuran Orb’s strategic and tactical flexibility make most formats more interesting, not less. Selecting which cards to restrict and which cards to leave unrestricted or unrestrict is, some ways, much more challenging than managing modern constructed formats. It’s fairly difficult for strategies to dominate Old School magic driven by massively powerful draw engines in the way that they have a tendency to do in contemporary Vintage. There simply aren’t enough engines like that. As a result, decisions to restrict or unrestrict must rest more on the strategic feel you and your community wish to evoke, the kinds of strategic range and breadth you wish to promote, and whether there are specific strategies you wish to inhibit for purely enjoyment reasons. Not only is there no right or wrong answer, but it could be that the best way to enjoy Old School Magic is to continue to tinker with the Banned and Restricted list to permit players to experiment with different strategies and approaches. As Old School Magic continues to develop as a format, I fully expect that other cards will emerge as serious restriction candidates, and eventually, a consensus will emerge around a few. 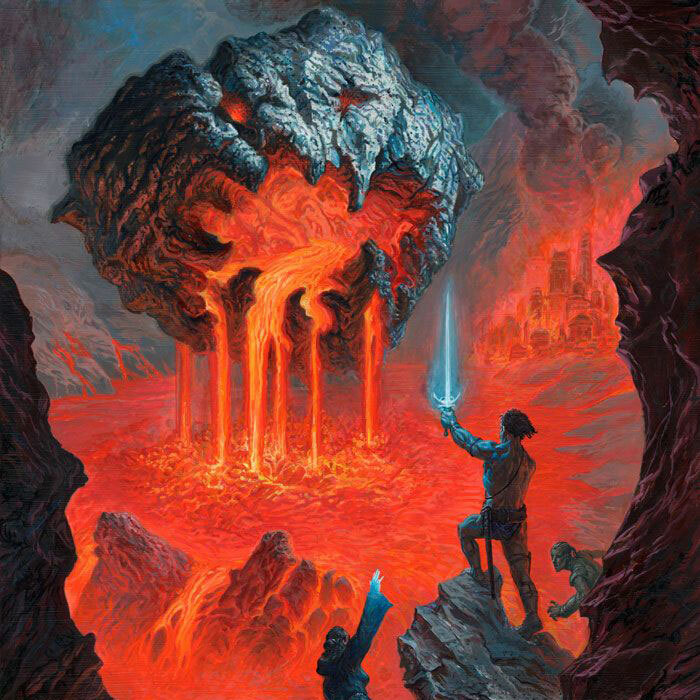 This weekend is Eternal North America, which includes Eternal Central’s 3rd annual Old School Magic tournament. I’ll be there slinging cards, so please be sure to say hello. Next month, I’ll share my 3rd place tournament report from the event last year. Thanks for the articles Steve. Been a long time fan of vintage and oldschool magic. Used to read Oscar's articles every week and dreamed of owning P9. Always been a big fan of you and your writing, thank you so much! In my group (in Italy) we opted for a "type 1.5" version of old school. 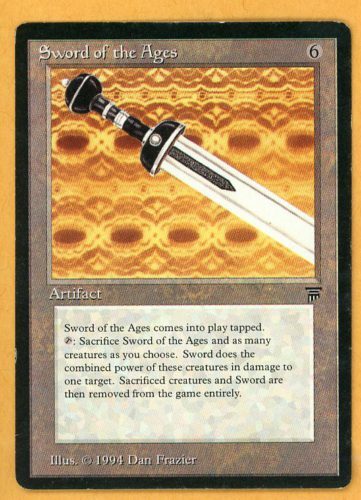 Basically we banned, (not restricted) the swedish restricted list, plus also banned swords to plowshares, mishra's factory, moat, the abyss. The result is a very diverse format, were a much larger percentage of decks and cards is playable, and control is strong but not the only possible reasonable choice, as is, in our opinion, with the traditional restricted list. Moreover, budget lists are viable, which is importat for a format that needs to acquire players to survive. The question one should ask is: why I am playing old school? For playing p9 and other busted cards, or for playing serra angels and shivan dragons? Our answer was the second. Vintage is a much better format for broken cards, because for every broken card there is an effective anwer. This is not the case of old school card pool. Hi there. I really like that idea! I think that could be great fun. Please share your community’s success with this approach. Great article, thanks for creating this series, Steve, really enjoyed reading them. In the column of potential reasons to restrict Recall is that discard happens on resolution. Gatherer wording "Discard X cards, then return a card from your graveyard to your hand for each card discarded this way. Exile Recall." Steve, I love this series on Old School Magic. I am a part of a fledgling but growing Boston/New England Old School Magic contingent. We were just having the discussion about Black Vise on our facebook group. Keep putting out the great content about this fantastic format. Old school magic player here. Do you guys ever come out near Central MA? We certainly could. Joining the New England Old School Magic group on facebook. There is a large group of guys in CT that play regularly as well.